Wedding ideas for fun and entertainment. Let’s be honest here – if you’re getting married in New Zealand the weather can sometimes be a bit crap, well in the lower North Island anyways. We have to prepare for wet weather, but imagine hitting the jackpot? Sunshine and blue skies! YUSS! Here are some awesome ways to entertain and enjoy the celebrations outside. You've got the likes of Giant Jenga, Connect Four, Croquet, even good old "how low can you go" - Limbo stick. The list goes on. All easy ways to keep people entertained, but not forced in any way. If people want to play, they can. If not, then there’s no pressure. Often people’s biggest issue about wedding days is there's often a lot of waiting around. If you’re having an early ceremony and a late meal, then having something that guests can entertain themselves with is the best. Make the most of the sunshine by providing guests with somewhere lovely to sit. Who doesn’t love curling up somewhere comfortable in the sunshine? The other thing about this idea is that it provides EPIC backdrops for photographs. Some of my favourite ever images of wedding guests are where they are totally relaxed, sipping champagne and sitting somewhere beautiful. Might be stating the obvious here, but you can get crafty with it too (no pun intended). Perfect for those days where the sun bursts out. 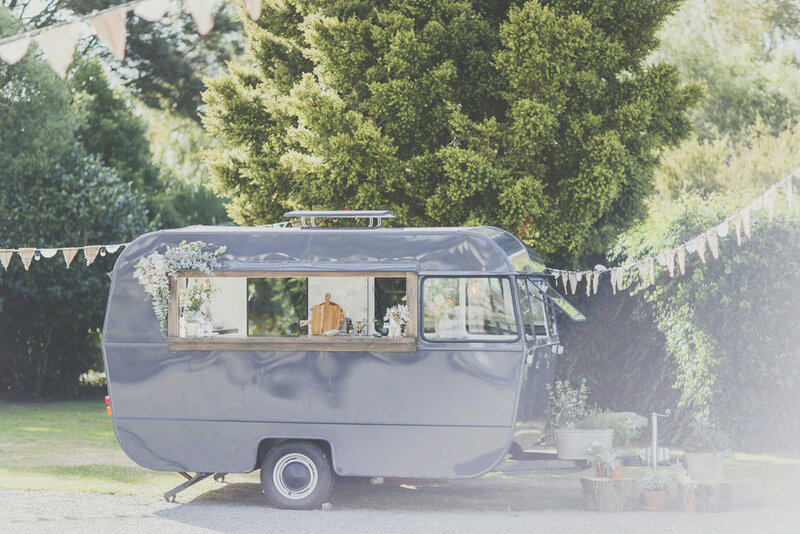 Make the most of the weather, hire a caravan bar or coffee bar, or ask a local craft brewer to set themselves up. Photo Booths have come a real long way! We have so many great options now, it's a sure winner with your guests, not to mention the record you'll have long after the celebrations are over. It can be as simple as hanging a backdrop, grabbing some props and letting people loose with a Polaroid camera, but getting a professional photo booth in my opinion wins hands down. You'll have someone there all day to encourage everyone to have a go, and make sure it all runs smoothly. The Kids also LOOOOVE it! It's cool to have kids at a wedding. They totally get into the celebration. They also can get bored, so give them something to do... This was a fabulous idea, a whole area dedicated to keeping the kids entertained complete with a couple of people to keep an eye on it all. They had craft activities, games, face painting, and summer sports. Sweet.